Dutch Connexion | Who is Dutch Connexion? 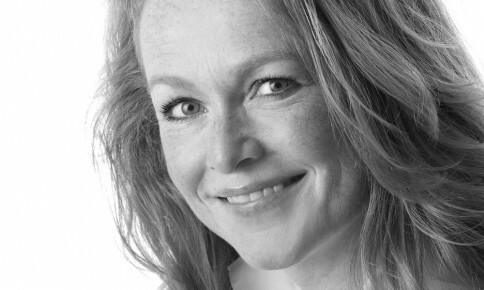 Silvia van den Aardweg owns Dutch Connexion. Born in the flower city of Aalsmeer, from a family of growers and traders. Entrepreneurship, horticulture and food were all around Silvia from early age. Silvia is proud of the benefits provided by having raised within such an entrepreneurial family! In 1991 Silvia started her career in marketing communications at Sony Benelux. It was there she was introduced to cross media, the moment Internet became available in 1993. At Endemol and Ivo Niehe Productions she connected companies to cross-media concepts aiming to promote commercial messages on in editorial ways, within the framework of the Dutch Media Law. In 2001 she was voted Mega Marketer by the Magazine for Marketing for developing the successful cross-media concept Star Maker. Since 2007 she worked in both horticulture and fruit and vegetables industries. For GroentenFruit Bureau (product Board of horticulture), she worked in a number of cooperational and EU-subsidized projects including School fruit, 2 × 2, Conference pear, House of Flavour (Huis van de Smaak – Floriade 2012). In 2010 Silvia won the Dutch Perfect Beat Award for the fruit & vegetable campaign www.datzieterlekkeruit.nl, the award for best kids marketing campaign. For several projects Silvia personally developed premiums such as lunch boxes and big shoppers, through her network, activities ranging from coordinating the design process to organizing actual and timely production in Asia. Silvia is a powerful and meaningful person to work with. She really knows how to get things done and works very rapidly. Transparency, goal-oriented working, involvement and quality, are the core values she works by. As well as achieving results, quickly react to events and slim proceeding. Bureaucracy and unnecessary complexity are not in her vocabulary. Silvia organizes, provides clear structure and always delegates. She is able to create a kind of family relationship on which one happily depends.